For touring and ski moutaineering, this boot does more with less. 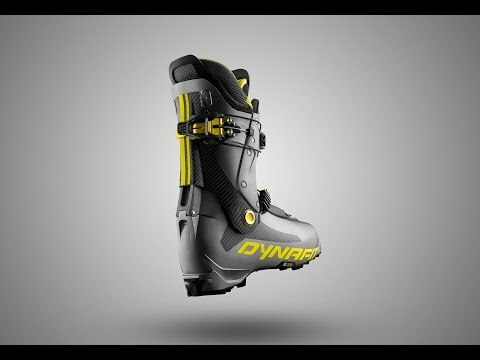 Dynafit’s TLT series improves yet again with the 7 Performance boot. At 1010g per boot, it's 300g lighter than its predecessor. The toe welt is gone from the toebox, moving the insert back 5mm, giving you a more natural stride. A single UltraLock 3.0 buckle opens, closes and adjusts at a micro level to shave more weight, improve boot durability (fewer snags and catches) and dial in your fit. The speed nose and set-back pivot point are tuned to conserve energy on the ascent and promote efficiency on long tours and ski mountaineering days. Lower shells made of Grilamid (polyamide) and Titantex (titanium-infused glass) are short and compact for agility and walkability. Cuff and spoiler are made of Titantex fibre and Grilamid to reduce weight and increase performance. Forward lean is adjustable between 15 and 18 degrees. Speed nose offers a shortened toebox and rotation point to make walking more efficient. UltraLock 3.0 system uses a single buckle to tighten the boot and to control the walk/ski mode. Micro-adjustable lower shell can remain tight, while the cuff is open for comfortable touring. Thermo-mouldable liner with anatomic construction, optional lacing system and closed cell insulation on the sole. Cuff rotation of 60 degrees helps ensure comfort and range of motion. Formula Pomoca Outsole is mountaineering focused so you have grip and traction on difficult terrain. Robust Master Step Inserts allow a release value up to 16 without any modifications. Snow-dynamic design slides through powder and avoids lateral obstructions. Lambda frame acts as an exoskeleton to improve stiffness and power transfer without the addition of unecessary material. The boot and binding systems must match for best performance and safe use. Alpine Touring: with tread; compatible with DIN touring bindings. Alpine Touring Tech (Tech): with tread; compatible with G3 Onyx and Dynafit. Downhill: without tread; compatible with freeride/downhill bindings. The range of motion of the boot when in hike mode. A mechanism that allows to release the boot cuff to switch to tour mode.